I'm still working on the next of my reports from the Eaton conference. I'm working furiously to do final revisions on my Steam Wars paper (which looks at the Steampunk Star Wars art at CGSociety) for submission to the Journal of Neo-Victorian studies, so updating the blog, as always, is what suffers. Rather than leave the site without content this May long weekend, I'm posting my images and text from the paper presentation I gave at the Eaton conference. Feel free to use the images, so long as you provide me with a link. Thanks again to Art Donovan for the use of his Shiva Mandala images, which provide a visual link to the three identities of Nemo I explore in this paper, and to Greg Medley, who is the visual Nemo of my research. I like him better than Mason and Shaw. Despite the scholarly rehabilitation of the author and his works, the image of one of Verne’s most famous characters remains misunderstood, and with rare exception, misrepresented. The irony of the Latin meaning of Nemo as “no one” (Miller footnote 4 67), is that the ubiquity of the character in Western culture and to a degree, beyond, has made the name self-referential. It can no longer stand in for the idea of namelessness, but rather has become synonymous with that which the Captain most revered, the ocean. Consider the intertextual nature of the title of this article, which references Disney, the company responsible for what is arguably the most famous portrayal of Nemo by James Mason in 20,000 Leagues Under the Sea (1954), as well as the 2003 computer-animated family film Finding Nemo, about a young clownfish named Nemo, produced by Pixar Animation Studios and Walt Disney Pictures. No longer, “no one”, it seems Nemo has become everyone and anyone. 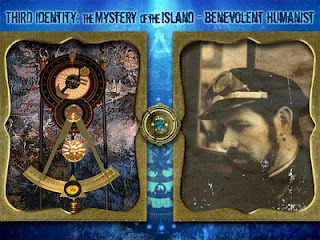 In Kevin Anderson’s Captain Nemo: The Fantastic History of a Dark Genius (2007), he is even imagined as the boyhood friend and romantic rival of Jules Verne himself! It is lamentable, given the increased interest in steampunk, both as fashion sub-culture and science fiction subgenre, that this seminal submariner remains obscured by Orientalist overexposure, doomed to be played most often with the accent of the Empire he hated most of all. It is all the more lamentable when one understands Nemo not only as “Verne’s greatest creation, indeed one of the stars of world literature, and a prototype of a major science fiction personality” (Miller xvii), but as a potential model for oppositional politics”, which may be posited as the possible “punk” in steampunk (Pagliasotti). Nemo further embodies of the essence of a steampunk hero through the repetitive cycle of death and rebirth he engages in: a subaltern member of an oppressed nation and freedom fighter against imperial tyranny; the self-made inventor of the spectacular Nautilus, an artistic romantic resisting Empire through monstrous violence; and finally, an ecumenical and egalitarian humanist seeking redemption. It has been well documented how Hetzel refused this Nemo, given political ties France had recently secured with Russia, to which Verne acquiesced by leaving “the identity of Nemo and of his great oppressor as something of a mystery, at least in Twenty Thousand Leagues” (xvi). 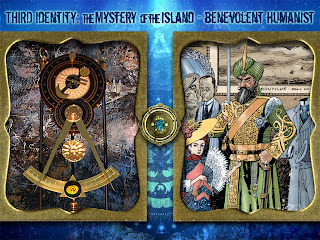 It did not remain a mystery forever, as Verne revealed in The Mysterious Island, that Nemo was Prince Dakkar, “an Indian deeply opposed to the British Raj” (Pagliasotti), “Indian in his heart, Indian in his longing for revenge, Indian in his dreams of reclaiming his native land, driving out the invaders, and inaugurating a new era of independence” (Island 584-85). While this revelation was never a mystery to French readers after 1874, it remained so to English readers up until the late twentieth century. 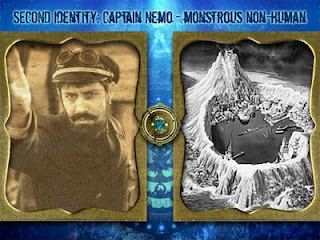 Since Allen Holubar played the Captain in the silent film of 20,000 Leagues Under the Sea (1916), more than sixteen actors have played Nemo in film and television versions of Verne’s novels. 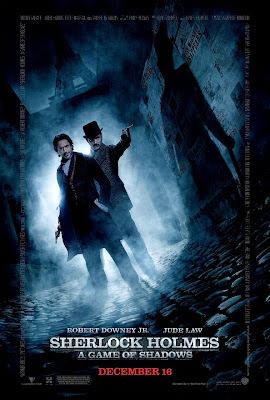 It is significant to note that of these many actors, only one has been an Indian: Naseeruddin Shah in The League of Extraordinary Gentlemen (2003), an adaptation not of a Verne novel, but of a graphic novel featuring the Captain as one of the protagonists. The fact of Nemo’s little known Indian heritage, and even less known revolutionary involvement as revealed in The Mysterious Island amounts to the literary equivalent of a political conspiracy. It might be assumed that Walt Disney pictures is to blame for the accidental Occidentalizing of Nemo, but the blame for the cover-up cannot be laid at the feet of Disney, who has already been over abused by the academic community. Instead, Miller and Walter identify the culprit of this misrepresentation of Nemo as “British boys’ author,” W.H.G. Kingston, who “rewrites, cuts, and just plain fabricates, all in an effort to bring this crucial passage into line with the official British propaganda of his day” (389). A cross-examination of Kingston’s translations with post-colonial (and arguably superior) translations of The Mysterious Island such as Jordan Stump’s, demonstrates the extent to which Kingston’s revisions muddied the waters Nemo traveled in. Even though Kingston translates Nemo’s heritage correctly, he co-opts the Captain’s affections to coincide with those of India’s oppressors, the British Empire. An entire paragraph detailing Dakkar’s all-consuming “implacable resentment” towards “the one country where he had never consented to set foot, the one nation whose advances he continually spurned” (584-85) is entirely omitted in Kingston, replaced by “an unquenchable thirst for knowledge,” ostensibly to enable Dakkar to become ruler of a people in need of colonial enlightenment. Kingston also reduces Dakkar’s active leadership of the Sepoy rebellion of 1857, stating that the Prince’s involvement was “[i]nstigated by princes equally ambitious and less sagacious and more unscrupulous than he was” while the revolutionary Indians are diminished as well, “facile tools of their designing chiefs” (354). Stump’s translation reveals Dakkar as the “soul” of the revolt, “he who had organized the entire uprising” (585). 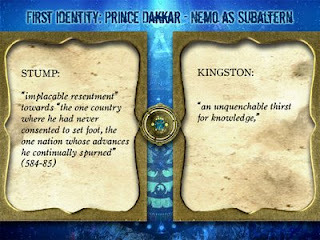 The difference is monumental—in Kingston, Dakkar is a dupe, in Stump he is the author of his own fate. Brian Taves effectively argues that to downplay the intensity of Dakkar’s love for India and hatred for Britain, as was the case in the 1916 silent version of Leagues, makes for a characterization “hardly the rebel leader Dakkar that Verne imagined” (209). 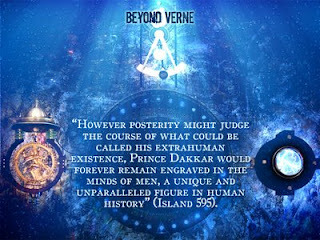 Further, Verne’s choice of the “then-independent territory of Bundelkund” (Island 584) as the Prince’s homeland speaks against a pliant, ideologically feeble Dakkar, given the region’s history of insurgence, and the geographical advantage Bundelkhand would have presented a revolutionary force. Particular to the Sepoy revolt, Hibbert notes that, “[n]either the fighting in Malwa nor in Bengal was as fierce or costly…as the battles in Bundelkhand” (377), while Jain argues forcefully that the rebellion in Bundelkhand was a concerted, orchestrated political effort, “gathering different strands of protest into one single concerted defiance” (226 italics mine). Further, it is evidence that Bundelkhand is an appropriate birthplace for Prince Dakkar, raised with “an upbringing that inculcated undying dreams of revenge and redress” (Island 585), and supports the idea that in an alternate history, Dakkar might indeed have “organized the entire uprising” (585), or at the very least, have played a major role as historical figures Tantia Topi or Lakshmi Bai did. It firmly underscores the idea that Dakkar was not a pawn of others, but was the agent of his own destiny, who embraced his identity as Indian wholeheartedly. However, in the immediate wake of the Sepoy revolt’s failure and the personal tragedy of his family’s murder, Prince Dakkar effectively dies and is replaced by Nemo. 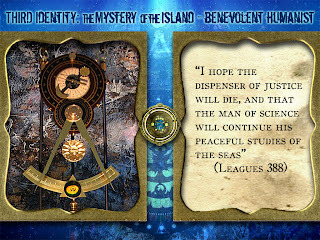 As Verne writes, “[t]he valiant soldier now made way for the scientist” (Island 586). 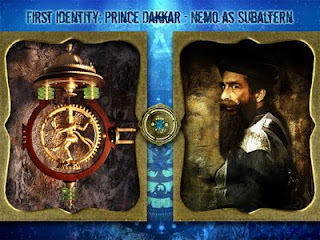 Nemo has used Dakkar’s wealth, resources, and education to construct machinery more powerful than anything produced by the enemies who destroyed his family” (Maertens 213), machinery he intends as an instrument of violence against the British Empire. Revenge upon a political entity is necessary for a proper depth of motive for Nemo, for if Nemo’s “political purpose in seeking warships” becomes a personal quest for reprisal, then there is “no rationale as to why Nemo went to all the trouble of building a submarine in order to seek revenge” (209). The abandonment of this political motivation results in Nemo becoming a caricature of mad scientist, as in the case of the silent version of The Mysterious Island, “with an island fortress full of modern science, from television to … death rays, ready to destroy the world at his vengeful whim” (212). 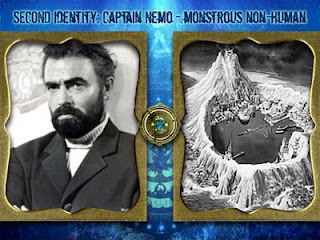 There have been attempts as well to eliminate this aspect of Nemo’s character entirely, as in the case of the made-for-television film, The Return of Captain Nemo (1978). Portrayals of Nemo lacking intensity or ferocity emasculate the character, as Maertens accuses James Mason’s portrayal of doing. Maerten contests that a Nemo entirely-on-the-defensive is a false interpretation of Verne’s character, and, as with Kingston’s butchery of Prince Dakkar’s history, strips Nemo’s power of agency yet again. 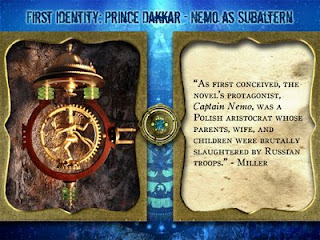 Maertens states that “[i]n the novel, Nemo always has the advantage over his human opponents” (214), while the Disney version repeatedly portrays Nemo as vulnerable, whose suicide “can only be read as the final failure of the heroic scientist, the culmination of accidents and incapacity, and the defeat of intellect by brute force” (223). In addition to the reductionism of science as power, the Disney film omits the secret language of the Nautilus’ crew, which Maertens states is a loss of “the sense that Nemo has achieved a discursive superiority over the whole institution of Western science, by, as it were, containing it inside his own language (217). Maertens does Nemo a slight disservice in this statement—the creation of a language implies more than the mastery of a single discipline—the construction of a language is to be able to control a perception of reality. By having his crew speak a language of his own invention, Nemo has done more than simply barred Arronax and his companions from comprehending conversation. He has imbued his crew with his perception of reality through the vehicle of the secret language. 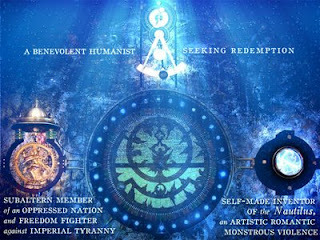 In Twenty Thousand Leagues, Nemo’s reality is focused through the obsessive lens of retreat from and revenge upon the civilized world, whose actions could be easily construed as a form of nineteenth century terrorism. While it may be oversimplification to label Nemo a terrorist, aimless, randomly “venting his anger in useless destruction … [a] symbol of the alienation of vengeance, the bitterness that eats away and isolates a man’s soul from human compassion and justice” (Nickel 52), it is arguable that the monstrous identity of the Nemo must be discarded in order for the Captain to repent and “regain his identity as a human being” (160). The Captain obviously possesses the conviction that by the end of Twenty Thousand Leagues, he has been involved in a dishonorable endeavor, evidenced by his final words heard by Professor Arronax—“O Almighty God! Enough! Enough!”—prove to be neither final words nor vain entreaties to an abandoned deity, but rather a genuine desire for inner transformation (384): time for the inhuman Nemo to die, and something new to emerge. At the close of Twenty Thousand Leagues Nemo’s fate is uncertain; Arronax wonders at the fate of the Nautilus and its Captain, with the hope that if “Captain Nemo inhabits the ocean…I hope the dispenser of justice will die, and that the man of science will … continue his peaceful studies of the seas” (388). Unbeknownst to Arronax and Verne’s contemporary readers alike, the dispenser of justice had died, while the man of science survived. Walter James Miller applauds Verne’s use of the “real Maelstrom off Norway as a magnificent symbol [of] classic death-and-rebirth” calling it a “moral maelstrom” (xvii), a reference to an inner downward spiral, or perhaps even the wheel of Dharma, from which Nemo emerges into a new life. Maertens refers to the entire narrative of Twenty Thousand Leagues as symbolic, with the action building is a “careful, contrapuntal structure to Nemo’s ultimate crisis of soul” (214). 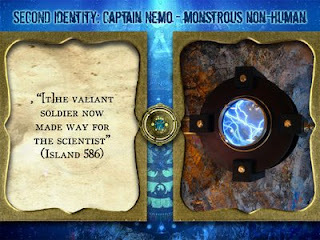 Nemo and the Nautilus survive the maelstrom, and disappear from the world, hidden on Lincoln Island. Here, he is “no longer…a man unreconciled to God and man” (Mickels 496). His benevolence toward Cyrus Smith and his castaway companions is evidence of a “man at peace with himself, one who has overcome the inner hatred which consumed him” (496). Nemo seeks atonement for his actions as dispenser of justice, calling upon Cyrus Smith and his companions to grant him absolution. Smith pronounces Nemo as ultimately mistaken, not evil, and gives the premature eulogy that “your name has nothing to fear from the judgement of history” (590). Nemo supposedly goes to his grave with a clear conscience, confident as he is of an afterlife whereupon he may be watching the endeavors of Smith and company “from above” (593). 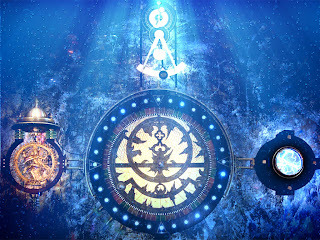 Perhaps Nemo believes he has achieved samsara, “a clean escape from the…wheel of birth, death, and rebirth” (Fisher 87), into moksha, “the cessation of birth and death” (Moreman 105). Ultimately though, Nemo’s second death is as uncertain as his first: can a man who survived so many revolutions, external and internal, really be finished? While Timothy Unwin assumes Nemo’s death to be certain in his analysis that Nemo is “an anti-Christ figure in his final descent into the depths of the ocean as he dies alone in the Nautilus” (2000 144), while Alan Moore, reading between the lines, assumes that this is yet another death-and-rebirth moment for the ever elusive Nemo. Moore’s playful manipulation of Verne’s text is far more satisfying than Unwin’s obituary. After all, Nemo has already died twice; once as Prince Dakkar, revolutionary, and again as Nemo, the man-of-war. It stands to reason then, that this death might also be staged. Having emancipated himself from his notorious reputation, Nemo is poised to become whatever he wishes to be. 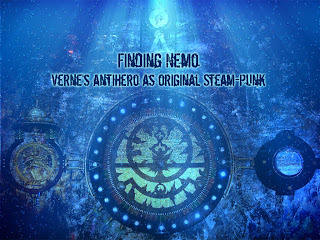 Like the cybernauts of steampunk’s ostensible precursor cyberpunk, Nemo has the ability to transform himself and his surroundings; unlike those cybernauts, Nemo’s surroundings are tangible, not virtual. 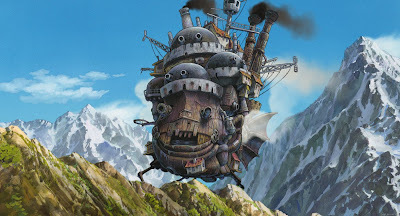 This is the attraction of the Steampunk culture movement; it not only rejects dystopic elements of the “real world”, but also suggests more hopeful alternatives. Unfortunately, the alternatives it suggests are currently whimsical, aesthetic alterations to existing technologies, “building a blazing-fast, modern computer into antique fine cabinetry” (Datamancer). The descent into the maelstrom and the subsequent rebirth is producing changes of identity, but the question needs to be asked, are these significant changes, or just another fan culture interested in costume and performance? 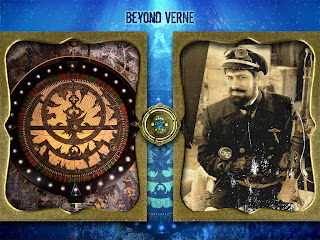 If Verne’s writings are, as many Steampunk adherents claim, source-texts for Steampunk, then Nemo presents a possibility of real-world change to this subculture, and subgenre. Jeff Vandermeer has noted that the literary manifestation of Steampunk is moving away from homages to adventure tales, turning towards social criticism and commentary, as evidenced by the anti-Empire, anti-pax Americana subtext of Theodore Judson’s Fitzpatrick’s War. Steampunk culture attracts and embraces a diversity of ethnicities, genders, and personalities. It has the potential to be subversively counter-cultural through its playful performativity and light-hearted romanticism. If it is to be anything more than another fan culture however, it will need to engage in a more serious transformation of identity, taking the same journey its literature has begun to. It must seek a steampunk modification to the world beyond subculture and subgenre, the world beyond fantasy, sci-fi, and comic book conventions. What does the steampunk aesthetic look like when it is applied to the world at large? 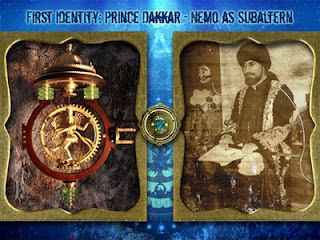 This was the question that drove Captain Nemo’s quest, and it is not an ancillary point to recollect how that the quest began in revolution against oppressive Imperialism, was fueled by a monstrous sense of political agency, and concluded, in anonymous philanthropy toward complete strangers, leading Cyrus Smith to conclude that “However posterity might judge the course of what could be called his extrahuman existence, Prince Dakkar would forever remain engraved in the minds of men, a unique and unparalleled figure in human history” (Island 595). Branwyn, Gareth. “Steam-Driven Dreams: The Wondrously Whimsical World of Steampunk.” June 18, 2007. Wired.com. December 10, 2008. .
Miller, Walter James. The Annotated Jules Verne, Twenty Thousand Leagues Under the Sea: The Only Completely Restored and Annotated Version. New York: Crowell, 1976. Miller, Walter James. Jules Verne’s Twenty Thousand Leagues Under the Sea The Definitive, Unabridged Edition Based on the Original French Texts. Trans. Walter James Miller and Frederick Paul Walter. Annapolis: Naval Institute Press, 1993. Stoker, Bram. The New Annotated Dracula. Ed. Foreword, Notes. Leslie S. Klinger. Additional Research Janet Byrne. Introduction. Neil Gaiman. New York: Norton, 2008. Cohen, Lon S. “Didactic Chat: Bruce Sterling.” May 22, 2008. The Matrix. Issue 188 July 2008. December 10, 2008. <>. Weller, Mark. “The Undersea Adventures of Captain Nemo.” Sept. 23, 2006. TheWellers.com. December 9, 2008. .
“Finding Nemo at a Game Studio’s Steampunk Office Suite.” June 13, 2007. Wired.com. December 10, 2008. .